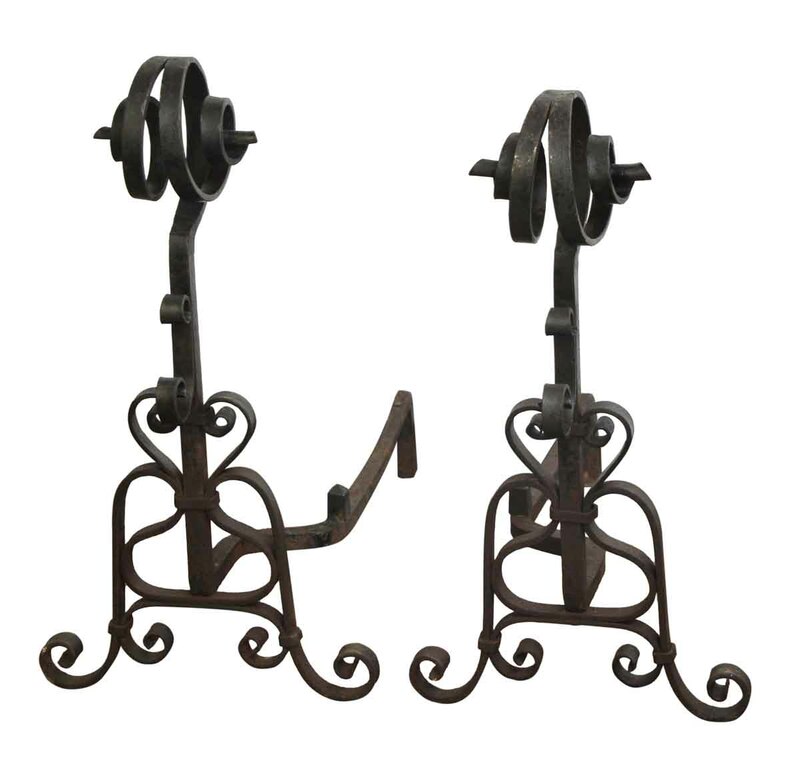 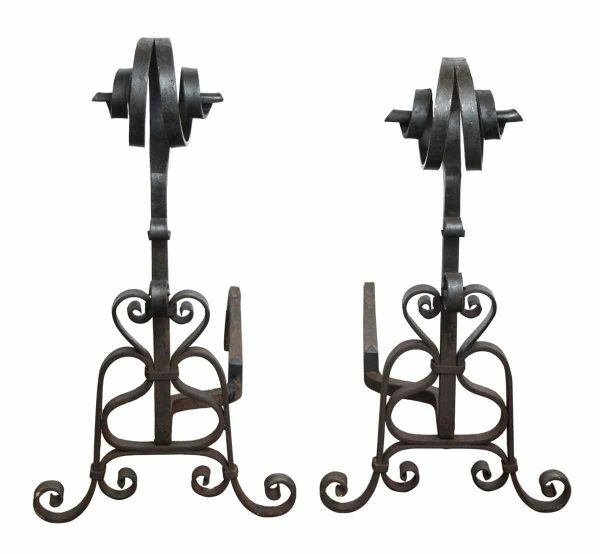 Original antique andirons with curled details. 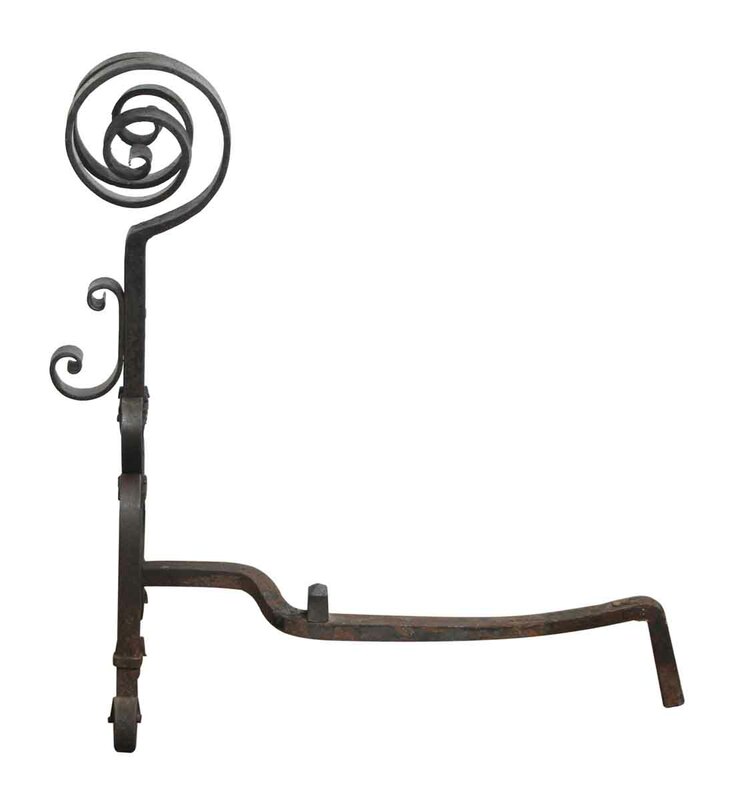 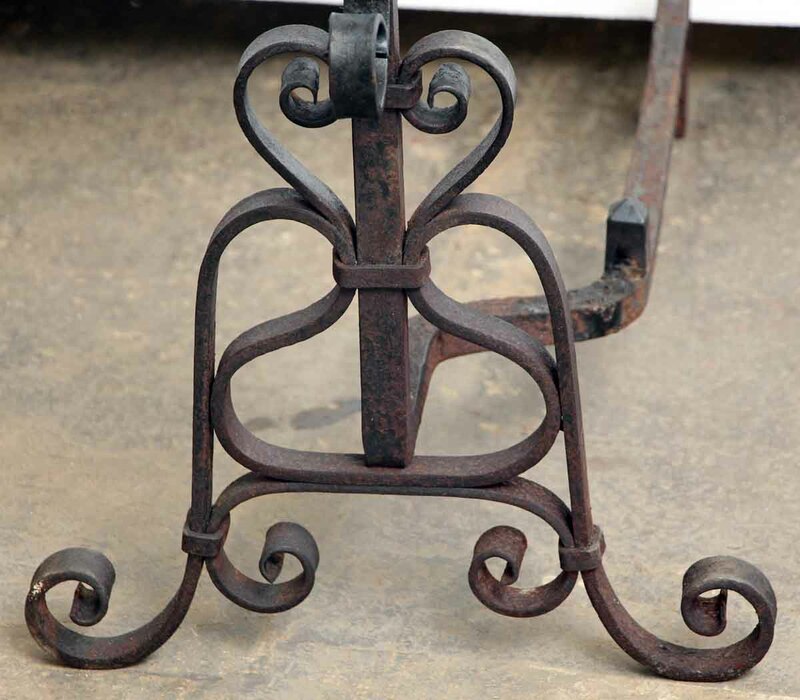 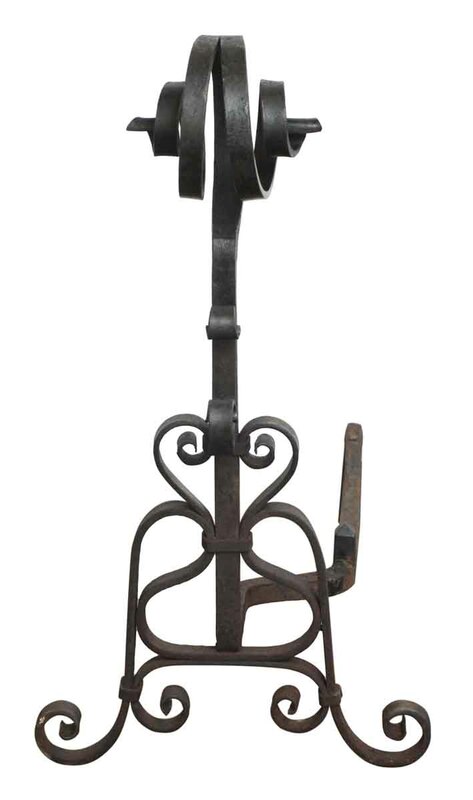 An andiron is a horizontal iron bar upon which logs are laid for burning in an open fireplace. Priced as a pair.